Welcome to this “open plan” website where I hope to encourage an alternative “everyone can contribute – no secrets” public borough plan. 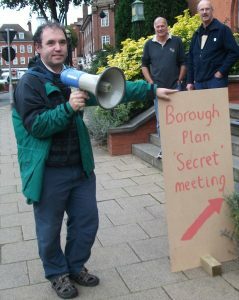 allow any councillor to attend the private meetings as observers. The Nuneaton & Bedworth Labour parties voted down this reasonable motion. As it stands, a single “preferred” option will be recommended by the working party that will operate in its secret bunker. I want an open, transparent democratic process that provides the public with a meaningful consultation.